Leading organic almond milk brand raises $3.75MM in CEO led round; plans to use investment to continue rapid growth along with launching innovative new products in multiple plant-based categories. We have experienced tremendous growth since we launched in 2015. With more households across the US and abroad switching to organic, we believe our brand speaks to a core desire of our customers. New Barn, Inc. today announced the initial closing of $3.75MM in Series-A financing. The round was led by New Food SPV, an investment company created by New Barn CEO and Chairman Ted Robb, who also personally invested in the round along with individual backers. Founded in 2015, New Barn has quickly grown to become the leading branded organic refrigerated almondmilk range in the natural channel (US) . The company makes and markets Organic almondmilks, as well as a unique non-dairy frozen dessert lineup called AlmondCrème, to thousands of natural, specialty and conventional retailers nationwide. 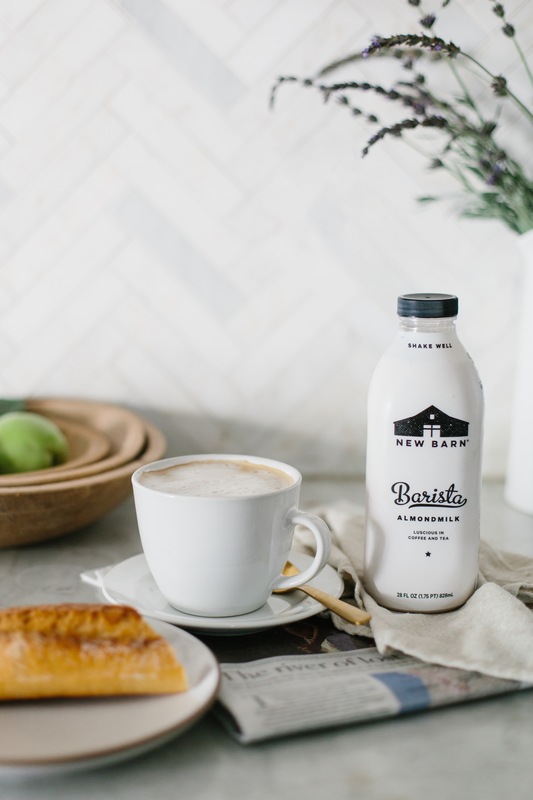 The company's Barista Almondmilk is the current breakout item, giving pro and home baristas for the first time a non-dairy milk that performs like dairy, and giving consumers a luscious drinking experience hot or cold. The blend is served at Allegro Coffee bars in Whole Foods Market and a number of specialty coffee shops nationwide. "We have experienced tremendous growth since we launched in 2015," Robb said. "Customers are falling in love with our brand and our steadfast commitment to making clean, delicious organic products. With more households across the US and abroad switching to organic, we believe our brand speaks to a core desire of our customers." The funding will allow New Barn to continue rapid growth of its core alternative dairy lineup, as well as launch a pipeline of innovative plant-based products in multiple categories. The company is focused on creating products that are simple, clean label, family friendly, and certified organic. "We are really excited about what is to come in 2018," Robb said. "We have a fantastic team, exciting ideas, and will be stepping out in a big way. We also have an incredible group of committed investors, who share our values. I am thrilled that this investment will allow us to continue building momentum in the coming year." New Barn is exhibiting at EXPO West (booth #8206), March 8-11, in Anaheim, California. Armory Securities, LLC served as financial advisor to the company.